The 2017 Chevy Silverado 1500 Silverado Special Editions make for one of the most popular full-sized trucks on the planet and, thanks to its variety of all-star special edition trims, and one of the most customizable Naperville and Lisle drivers can finance too. Explore what each of these stellar trims offers, then drop by Chevrolet of Naperville and pick your favorite. What Sets Each Special Edition Apart from the Next? Midnight: Select Crew and Double cab models enjoy black 18-inch wheels, door handles, emblems, and mirror caps, as well as Goodyear Wrangler DuraTrac off-road tires. Z71 versions also get bigger badging. Redline: The inaugural Redline Edition featured on selected LT Z71 double and crew cab models, offer 20-inch wheels with red and black accents, red-outlined black Silverado badges, red tow hooks, off-road assist steps, black mirror caps, grille, grille surrounds, bowties, and headline trim, body colored front and rear bumpers, and a spray-in bedliner. Rally: Aggressive Rally Sport styling is available in two Rally trims. Drivers can choose the Rally 1 on select double cab models for access to Rally striping on the hood and sides as well as 20-inch black wheels. LT Z71 models with double or crew cabs can be equipped with the Rally 2 package which includes 22-inch gloss black wheels and 4-inch round assist steps. 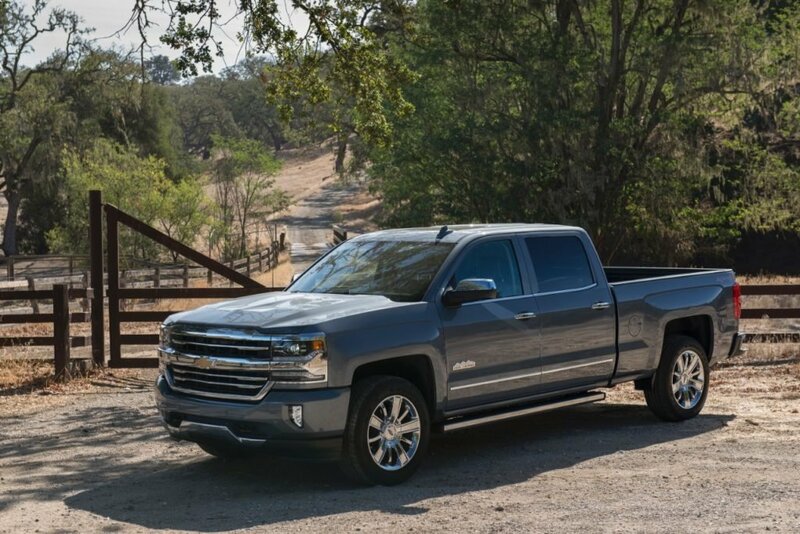 High Desert: Select LT, LTZ, and High Country trims can be equipped with a sport bar with sail panel, flexible, lockable storage system, lighted side storage boxes, three-piece removable tonneau cover, 20-inch wheels with all-season tires, and magnetic ride control. Real Tree: Available on Crew Cab LTZ Z71 models, drivers get access to embroidered head restraints, camouflage accents, black leather interior appointments, black exterior with blacked-out emblems and camouflage graphics, black off-road assist steps, bolder Z71 badging, and Rancho shocks. Special Ops: The WT Double Cab models can be equipped with 20-inch black aluminum wheels, bed-mounted sport bar with Special Ops signature, sport assist steps, all-terrain tires, spray-in bedliner and Blackout Edition content. Blackout Edition: Available on regular and double cab WT models, the Blackout Edition features deep-tinted windows, black 20-inch wheels, black Chevy bowtie emblems, a black grille, and black headlight bezels. Get behind the wheel of a 2017 Chevy Silverado all-star trim when you schedule a Naperville or Lisle test drive. Contact Chevrolet of Naperville at (630) 357-6100 or stop by our showroom at 1515 W. Ogden Avenue in Naperville, IL.